What should you do with all of those elements? Make clusters! It's really easier than it looks. Just let your elements overlap each other, moving them around until you have a shape you like with just enough elements in it to be interesting but not overwhelming. It often works well to have some softer elements such as curled ribbons or leaves peeking out from the cluster and traveling a bit on your page. Here are some examples my CT made with clusters. Now keep in mind that most of my page kits have coordinating clusters in the store. 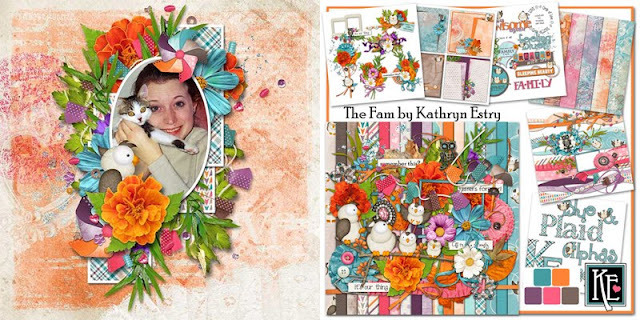 Just look for other products showing under the page kit, and I'll bet you'll find some clusters all made up for you. Thanks to Kabra for these wonderful pages with clusters! 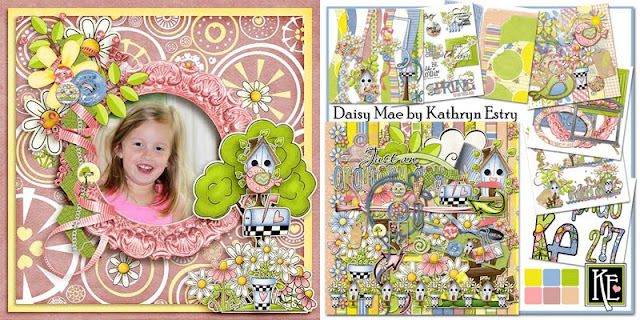 In these first two pages, made with Daisy Mae and The Fam, Kabra has clustered embellishments to dress up the frames. There's no frame in this one, but the cluster really sets off the photo! She used Something Wicked. 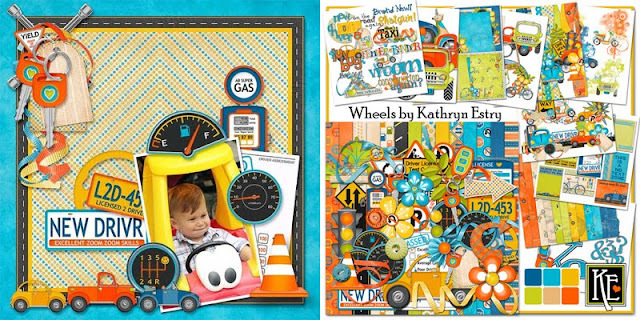 A little cluster up in the corner was just the thing to finish this cute page created by Kabra with my Wheels Collection.